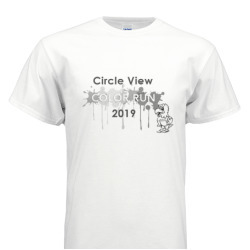 Students will be raising money for their school while running through different color stations, where they will get powdered with color, resulting in a rainbow of fun! All of the powder is 100% biodegradable, is not harmful for the children, environment or animals and will simply wash away with the rain. The ingredients of the colored powder is as follows corn starch food grade, calcium carbonate food grade and sodium bicarbonate food grade. 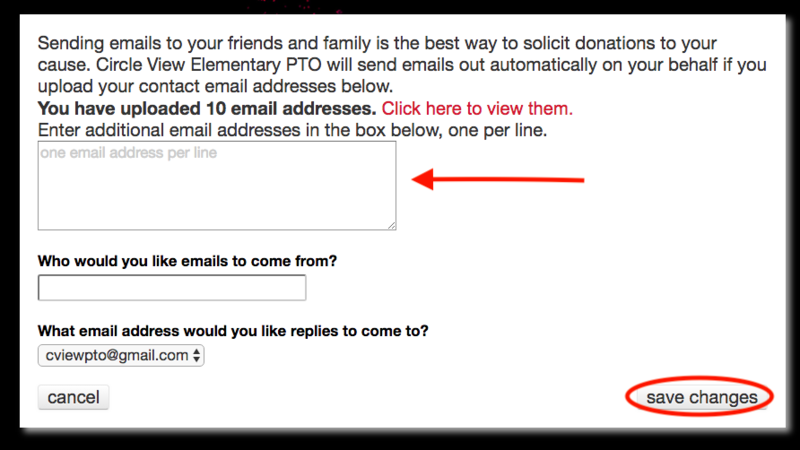 This year we will be using a web based fundraising system that allows you to request pledges via email from your family and friends, and for them to make secure credit card donations online. 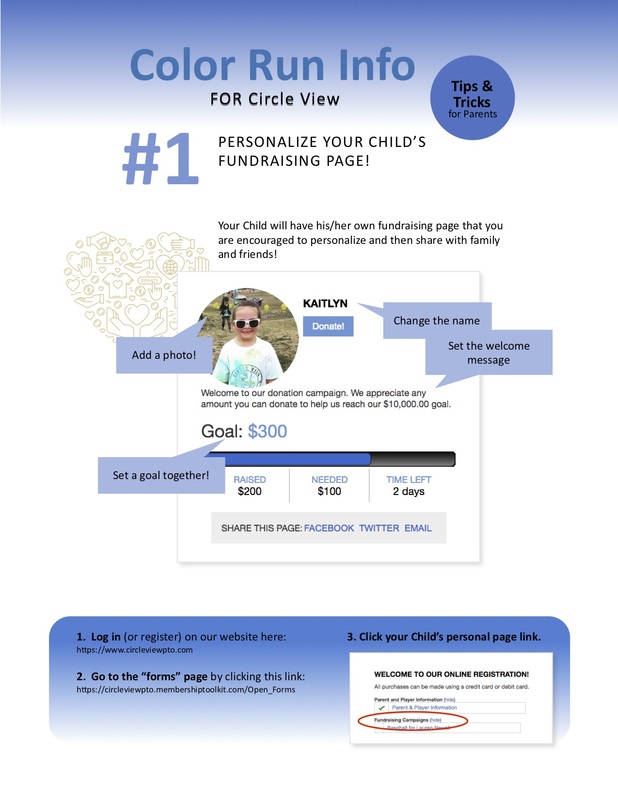 Go to https://circleviewpto.membershiptoolkit.com/Open_Forms to set up your child's fundraising page.You will still be able to collect cash or check pledges using this pledge form. 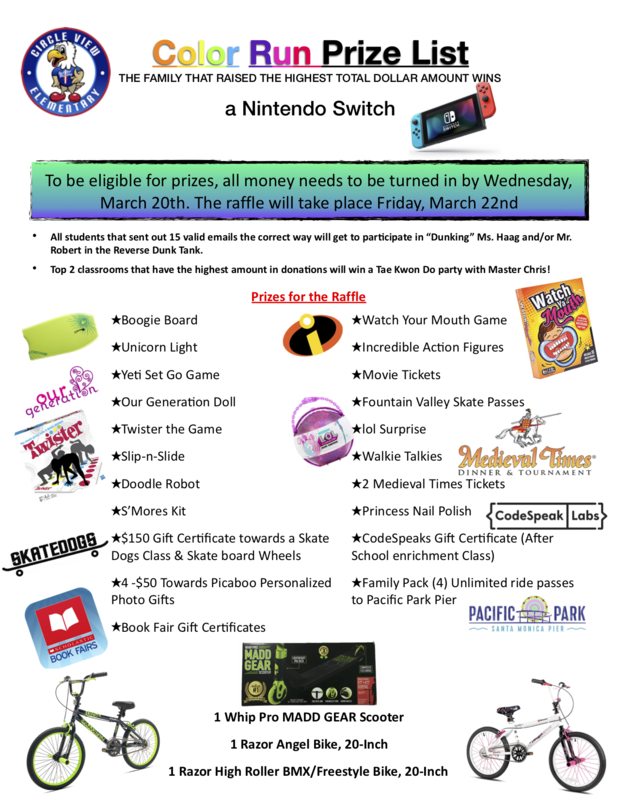 Participating students will have the opportunity to win some awesome prizes. 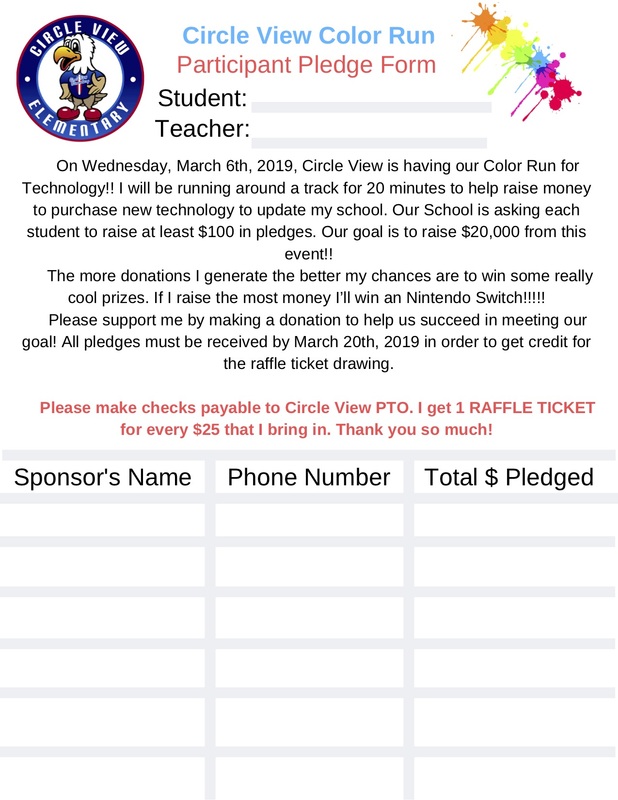 One Raffle ticket will be issued for every $25 raised in your student's name. Prize list and raffle instructions to follow. 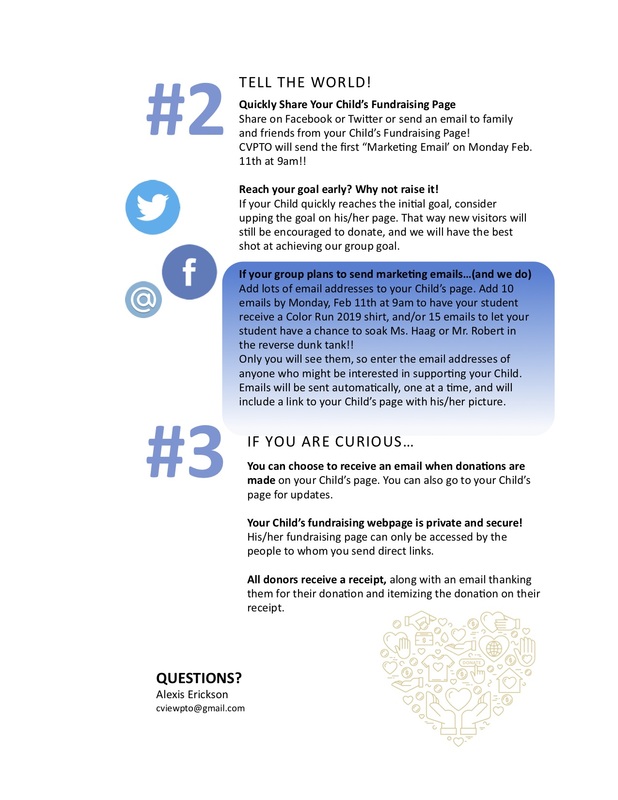 *1st "Marketing Email" will be sent to friends and families on Monday, February 11, at 9am! 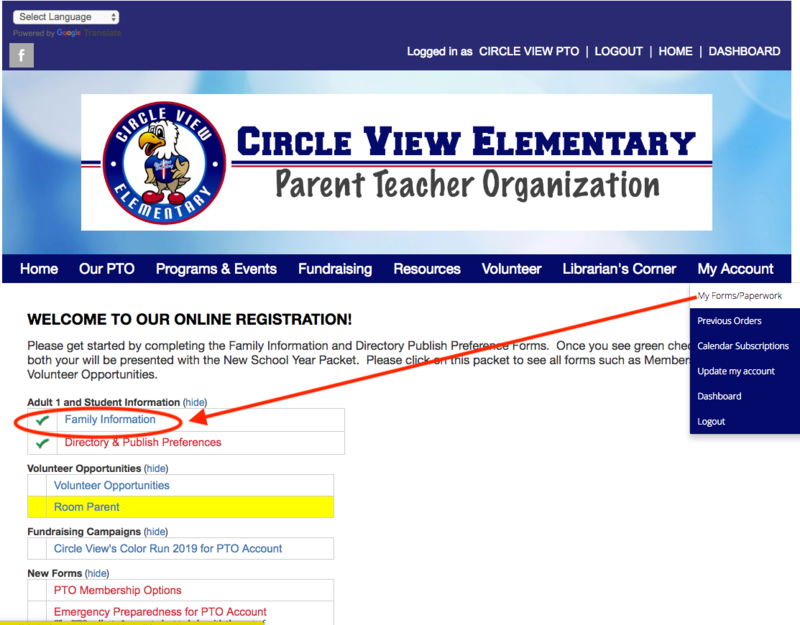 *Also don't forget to update your student(s) t-shirt size in the "Family Information" section of "Open Forms"
appropriate clothing and footwear the day of the event. Note: color powder may stain clothing/shoes. will be considered as P.E. for the entire school for the day. in the color run please let their teachers know. If you would like to volunteer for this year's COLOR RUN!!! 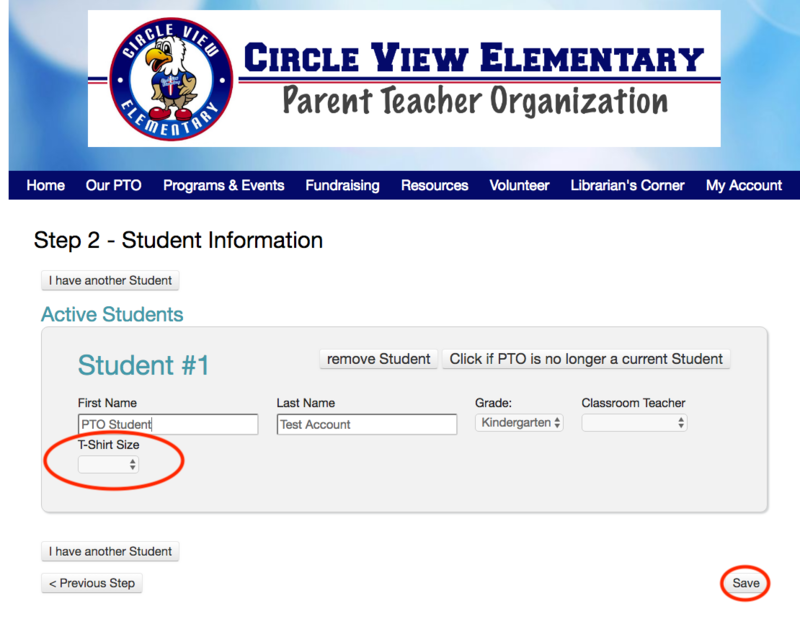 Please turn this form into your child's teacher as soon as possible. 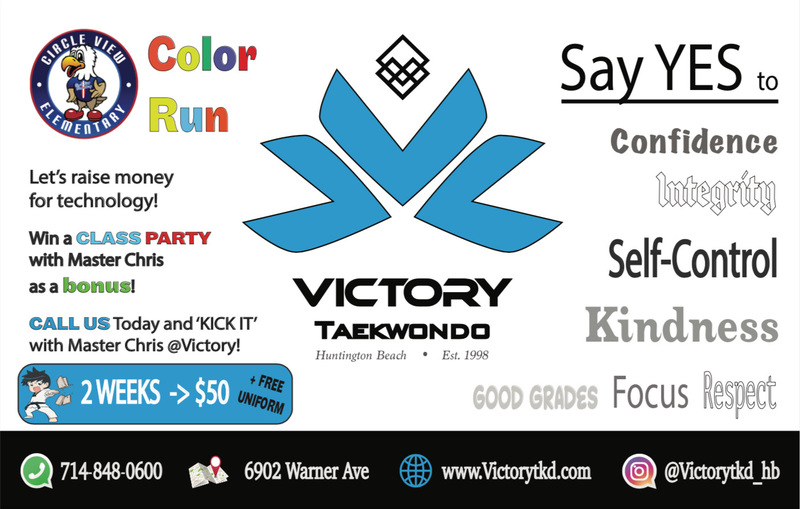 Not only is Master Chris helping us kick off the Color Run at our assembly but he is offering the top 2 classes that raise the most money a Taekwondo Party! !